Today I did not only built an eyepiece-adapter for my new Leica M8 Zoom microscope, I also built a really bright microscope light. Seen from above, you can see the frame of the fan. I removed the fan itself with a cutter and filed down the remaining sharp edges to prevent scratches on the microscope´s body. I used two short strips of Velcro, to provide some grip for the construction on the microscope (you will see how this is supposed to work in the following pics). 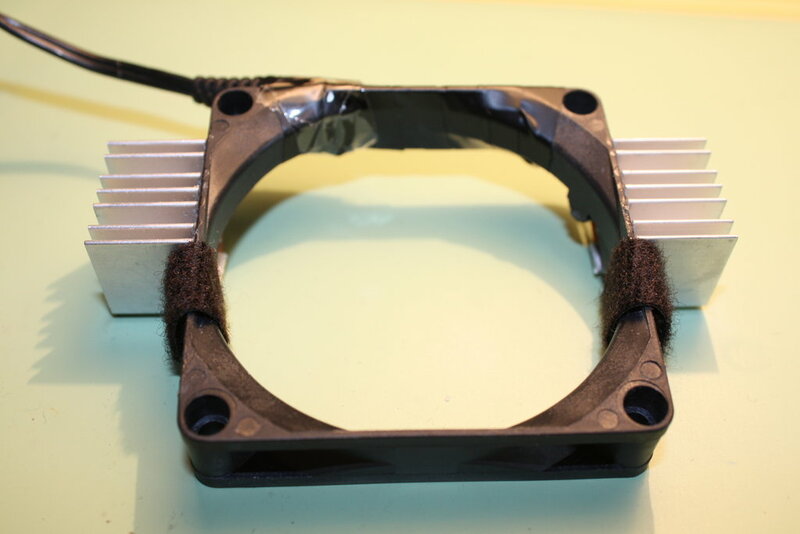 The two heatsinks for dissipating the heat from the power LEDs were glued to the frame using instant glue. Seen from below you see the two power LEDs. 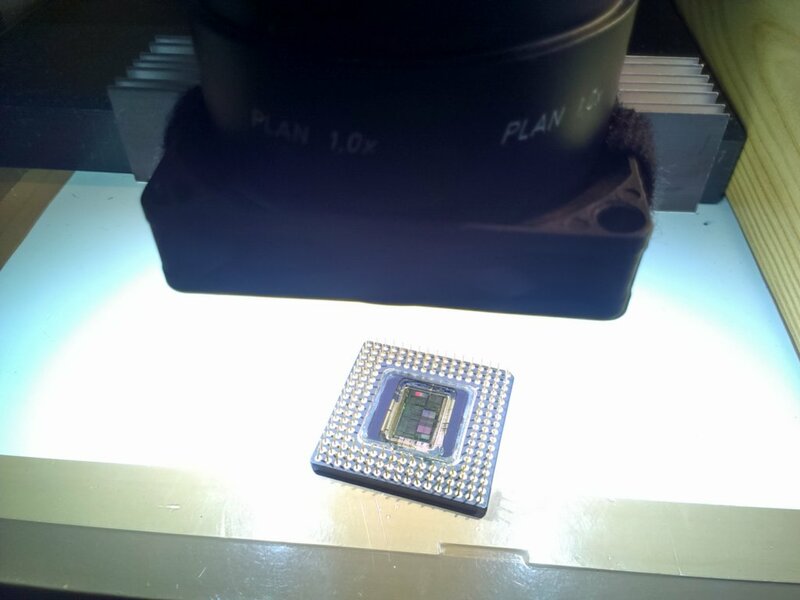 I attached them to the small heatsinks with some thermal compound and instant glue. 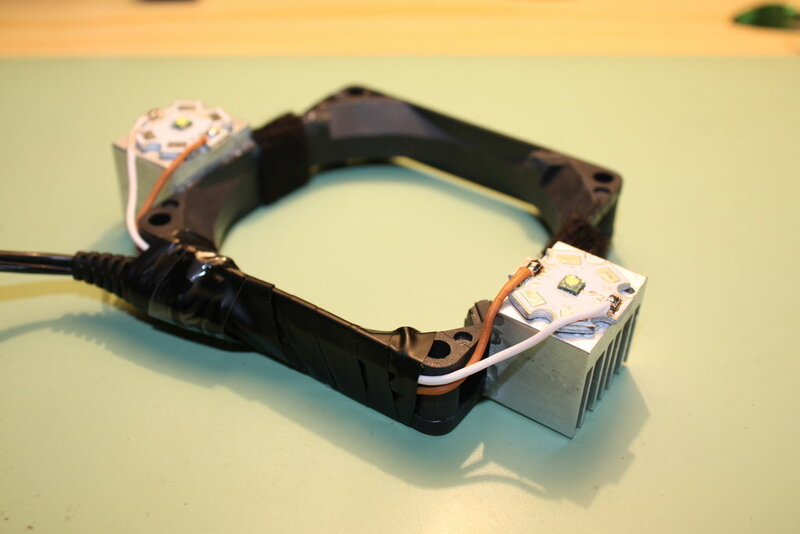 To attach the light to the microscope, it is just slided on the objective body and turned on (the Velcro strips make it easy to move the light up and down without scratches but at the same time, they also prevent it from falling down).